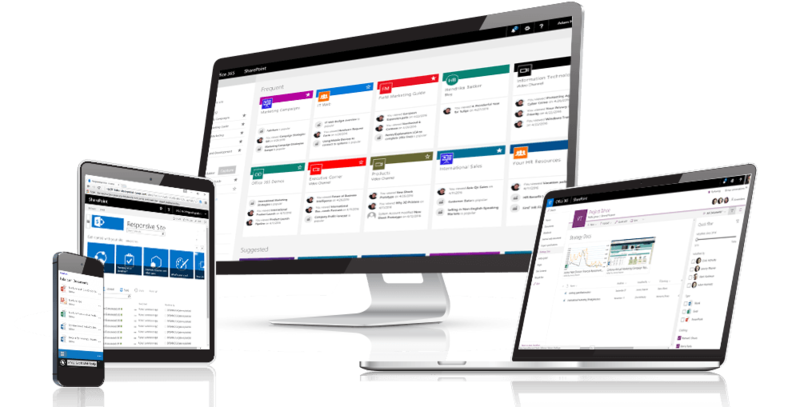 More than 200,000 organizations and 190 million people have SharePoint for intranets, team sites, and content management. Simple sharing and seamless collaboration. OneDrive gives you anywhere access to all your files, seamlessly integrated with Office and pre-installed with Windows. Automatically sync your files to your desktop so you can work with files offline. Access files on Windows, Mac, or your mobile devices. Preview more than 270 common file types such as Adobe files (PDF, Photoshop, Illustrator, and others), Visio files, DICOM medical images, and more, right from your browser. You can even stream HD video on demand via your browser—without downloading. Now with OneDrive Files-On-Demand users can view all their personal files, as well as the organization’s files in SharePoint, without the need to sync files until they are ready for use. Work on a file, save it directly to OneDrive or SharePoint, and any changes you make are updated seamlessly. Deep integration with Office lets you start co-authoring a document on one device and finish co-authoring it on another, and you can select from a variety of tools to annotate, highlight, and comment on it. Quickly find any file you’re looking for with powerful search and discovery tools, and then get intelligent insights about it, such as how many people have viewed or shared it. Broadly share and communicate your group’s message across the organization. Provide a place for your team to organize and collaborate on content, data, and news. A team site is a place on the intranet for your project, team, department, or division. 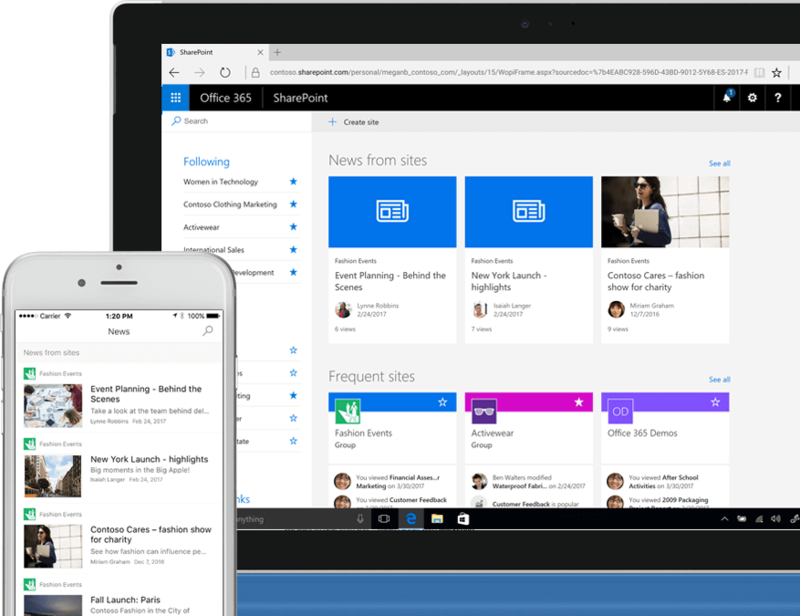 Pages, lists, and libraries connect everyone to all the resources they need across Office 365 and other services. You can manage files, gather and track data, and keep everyone up-to-date with news, tasks, and deadlines. And, wherever you're working, you'll see recommendations and insights that guide you to people, sites and files, instead of spending time searching. with SharePoint Online. Complete this form to get started.